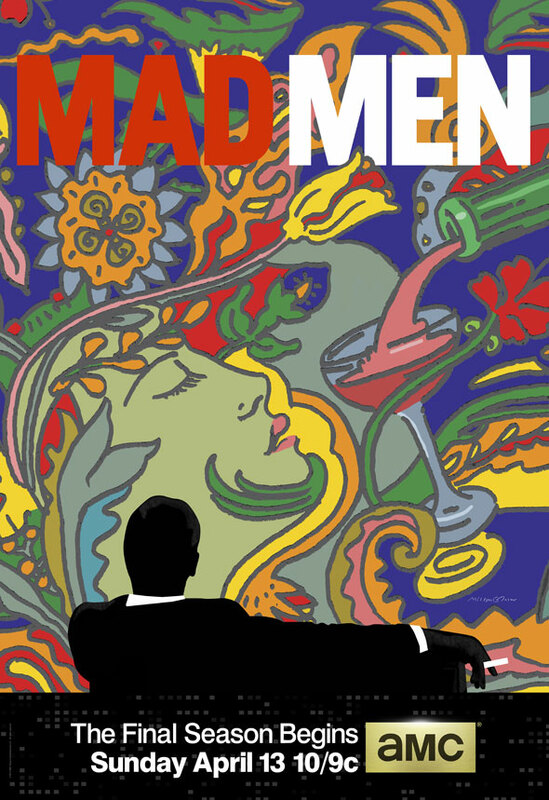 Graphic design artist Milton Glaser has created a psychedelic image that will be used as the key art for the upcoming seventh and final season of the Emmy-winning AMC series “Mad Men”. Series creator Matthew Weiner reportedly grew up with a poster of Glaser’s work in his home. The new season premieres Sunday, April 13th at 10PM.